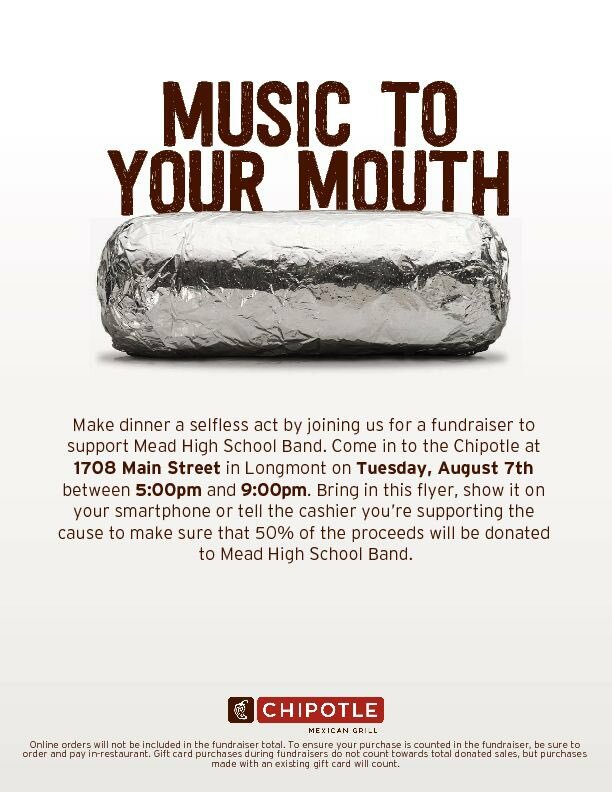 Support Mead High Band at Chipotle, Tuesday, August 7th! Our kids need snacks and water at Band Camp. See the following link to sign up. Thanks! Purchase King Soopers and Safeway gift cards from the music program. 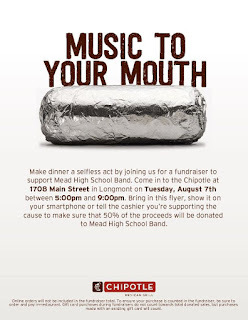 Refill the gift cards and a percentage of the amount added will be given to the music program at Mead High School. Information coming soon.